This entry follows on from 'production of the fractal'. Here I am suggesting that equilibrium - in any sense - is a fundamental of the fractal. 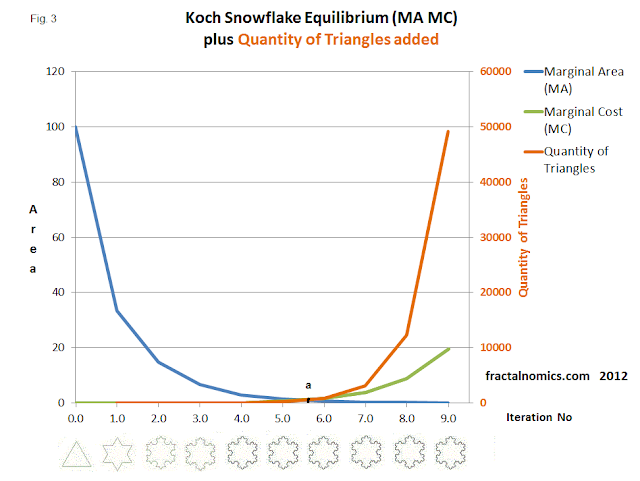 The above animation shows the development of the fractal, at iteration 5 or 6 fractal equilibrium is reached - where the shape (of the snowflake) is made; or where benefit production is equal to cost of production. Fig. 2b below, shows a closeup analysis of the fractal equilibrium, at least from a static point of view. MC intersects, or is equal to MA, at iteration 5 where the Area is equal to 1, due to the reciprocal of 1 itself being equal 1. 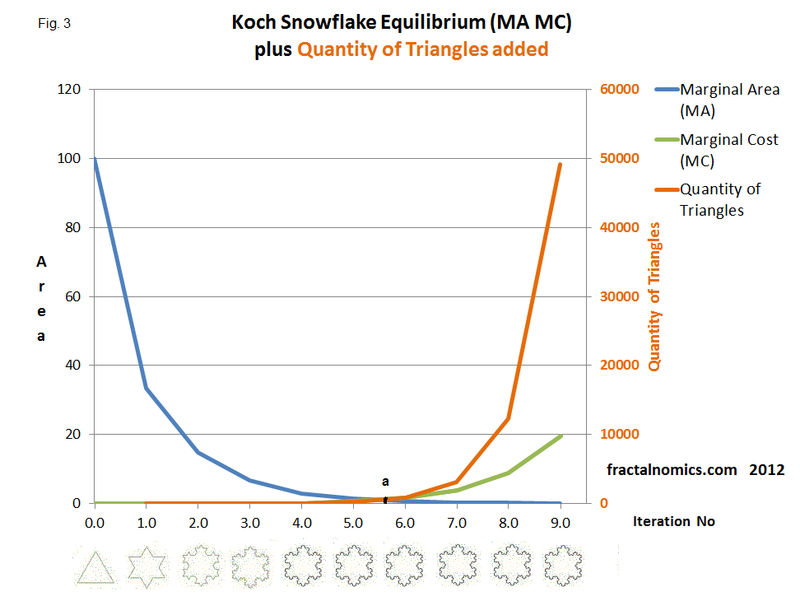 Any iteration less than fractal equilibrium will result in an imperfect (snowflake) shape or incomplete knowledge or information. 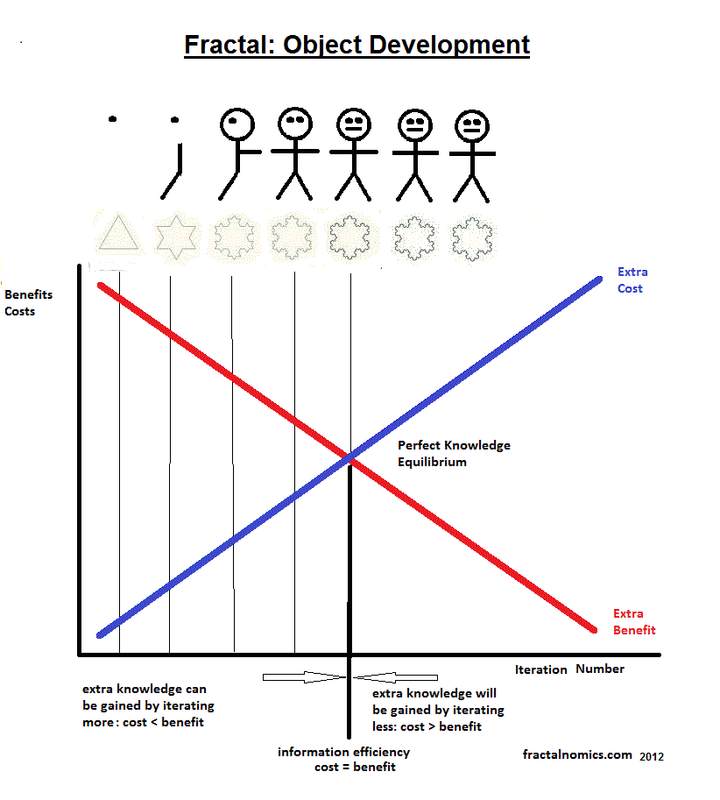 Any iteration point greater fractal equilibrium will result with little added gain in information or shape - and it will come at a great cost. Perfect knowledge, or the perfect shape, is gained where MA =MC. 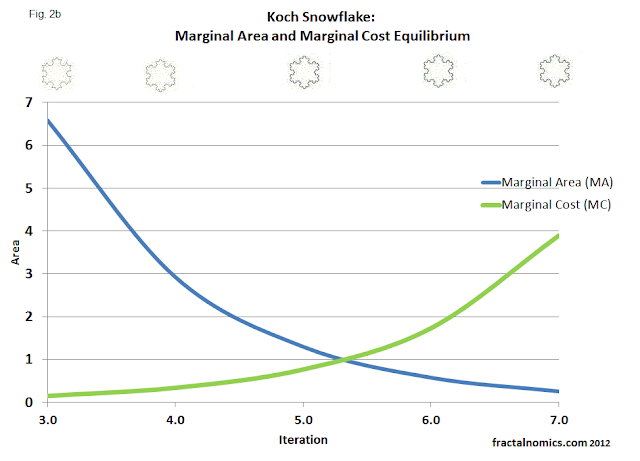 This, it taken directly from economics theory, resembles where allocative efficiency is maximized - at the equilibrium point in market theory. Competition gives the best shape or knowledge, opposed to a monopolist that would produce or output somewhere left of equilibrium. Notice Total knowledge will never be gained - the cost is too high. *I am aware that the fractal demonstrates infinity, and thus shows the infinity of knowledge - of the rule. To say perfect information may well be a relative statement, said in context, or in a paradigm. 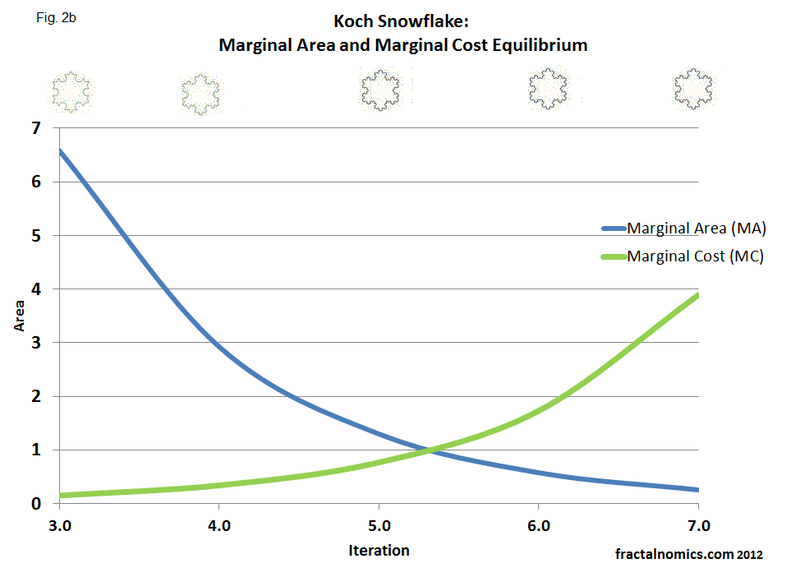 Of course, iteration number is not the output or quantity ( as in classical economics). So, what then is it? It came to me that it is the number of triangles - that are added after each iteration. 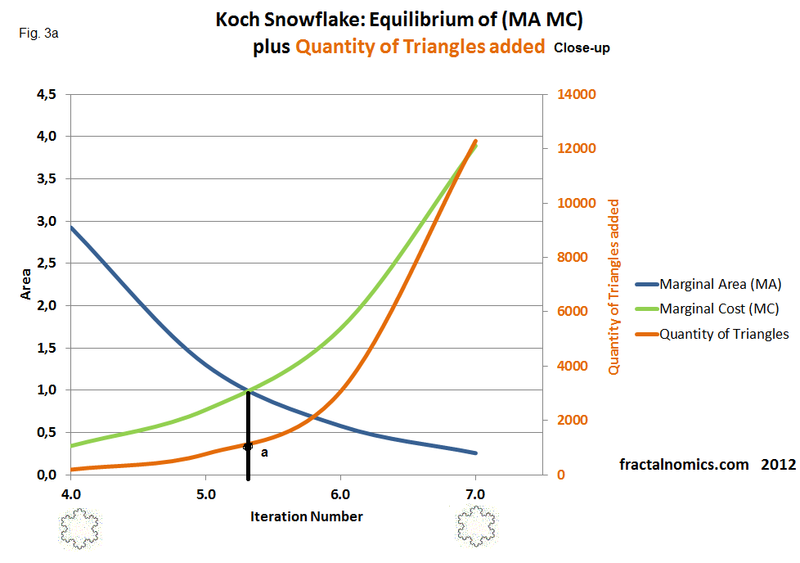 In the below diagrams below (fig.3 and 3b), shown in orange is the increase in the quantity of triangles, after each iteration. I have recently learned that this curve is exponential. Equilibrium quantity or output at fractal equilibrium is ..... triangles or point 'a', on the diagram.